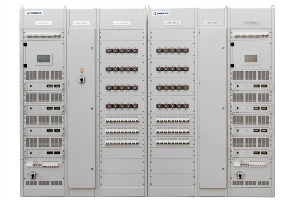 ﻿ Power systems for transmission SS – KONČAR Elektronika i informatika d.d. The very large and complex facilities are often situated on large areas, so the power cables between the power supply and the load must be extremely long which increases the voltage drop across the cable. Consequently, the supplied equipment will not operate properly. This is avoided by use of large cross-section conductors which makes it more expensive. 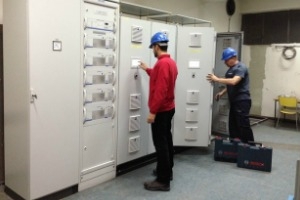 Furthermore, in these facilities the power supply distribution system often must comprise four levels of selectivity, which is more complex to design and it adds to costs. 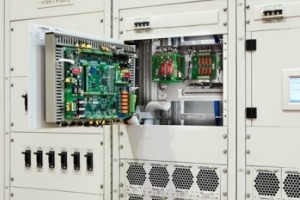 The optimal solution for such large facilities is the installation of a distributed power supply system. 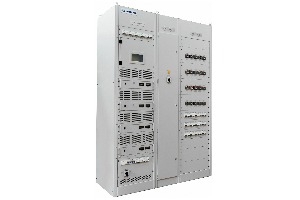 Instead of one central power supply system for all load equipment, each equipment group has their own power supply system.